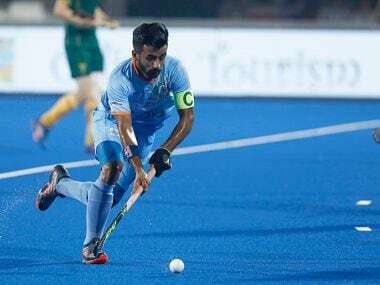 New Delhi: India need to get over the disappointment of a quarterfinal exit from the men's hockey World Cup and focus on the challenge of qualifying for the 2020 Tokyo Olympics, said skipper Manpreet Singh on Saturday. File image of Manpreet Singh. It was a disappointing year for India with the men's team failing to live up to the expectations in all the three big ticket events – the Commonwealth Games, Asian Games and the World Cup. The men's team will now begin the season with the Sultan Azlan Shah Cup in Ipoh, Malaysia in March and will also be preparing for the Olympic Qualifiers. "It is now important for us to move on from the disappointments of 2018. 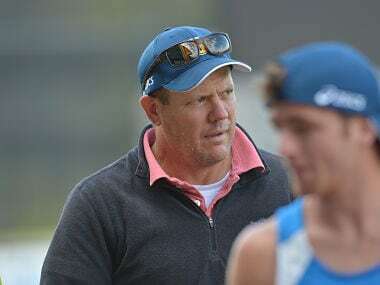 There are always lessons we learn from every tournament we play regardless of how the result went and this time too, we will meet as a unit when we report for National Camp in February and discuss on the areas that need improvement," he said. India were expected to defend their Asian Games title and directly qualify for the 2020 Tokyo Olympics but they could only manage a bronze in the showpiece event. With the FIH Series Finals in June to be held in Bhubaneswar's Kalinga Stadium, the team's main focus for the year will be to win an Olympic Qualification. "The road to 2020 Olympic Games will be challenging and surely the ideal way to qualify would have been winning the Asian Games like we did in 2014. But that should not be a deterrent to our motivation," he said. "We have a good setup, very talented pool of players with good international experience. We just need to remain focused." The men's Team finished fourth at the Gold Coast Commonwealth Games, settled for a bronze at the Asian Games and exited the World Cup at Bhubaneswar after a close 1-2 loss in the quarterfinals against The Netherlands. The team's silver lining was a gold medal at the Asian Champions Trophy in Muscat where they split the title with Pakistan and remained unbeaten in the tournament. The silver medal at the FIH Champions Trophy in Breda earlier in the year had helped the team improve their World Ranking from No.6 to No.5. While it's been a little over two weeks since Belgium were crowned new World Champions after they beat the Netherlands in a tense shootout, Manpreet regrets not making use of the home support to reach the final four of the tournament. "What Belgium has achieved over the years is quite remarkable and my hearty congratulations to them for winning the World title. As far as our performance is concerned, we (Indian team) are obviously disappointed and regret not using the home support to our advantage," he said. "We had topped the Pool and were very positive going into the Quarter Final against the Netherlands. It was a close match and though personally I am very disappointed we lost in the Quarter Final, I am proud of my team. We gave our best particularly the youngsters who were playing the World Cup for the first time." The midfielder, however, said the exposure that the young players got at the event in Bhubaneswar will stand them in good stead for future tournaments. 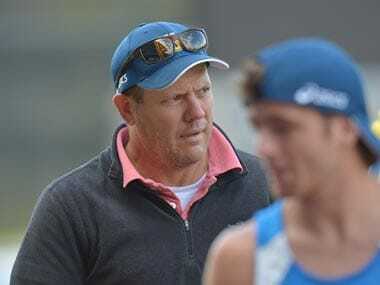 "We had few players from the junior set-up who have been part of the senior core group for about two years. I am sure the exposure they gained at the Odisha Hockey Men's World Cup Bhubaneswar 2018 will help them improve further," Manpreet added.